Did you know that members of the Valve community that create items for Team Fortress 2 and Dota 2 make a six figure annual payout? It’s an astonishing thought. 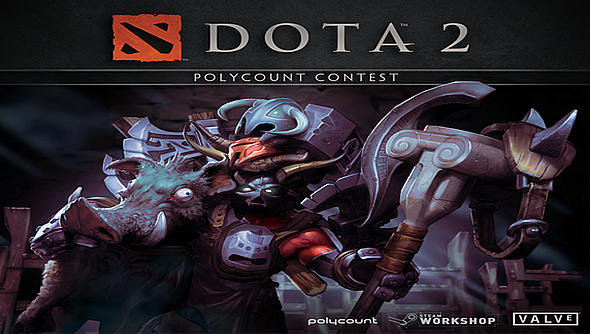 The Dota 2 Polycount Contest aims to bring the same level of quality items to Dota 2: by far the most popular game on Steam. Here are my ten picks out of the projects that have been marked finished. Some of these have been resized to fit, but I’ll include a link to the full sized versions in the text associated with each entry. Do go and look at the rest of the entries – there’s loads to look at on the Polycount forum. This is probably the community’s favorite creation. 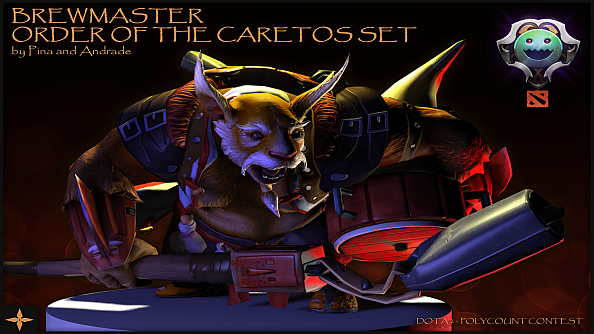 It shows off a crazy amount of attention to detail with this Enchantress set. 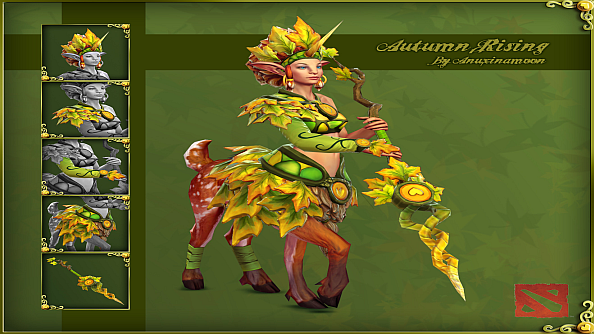 It is themed around Autumn with leaves covering her from head to toe. I don’t know how people are going to want to hurt this bundle of joy when they fight her in-game. Yulia has provided a backstory to how Pudge got stuck in this mess. 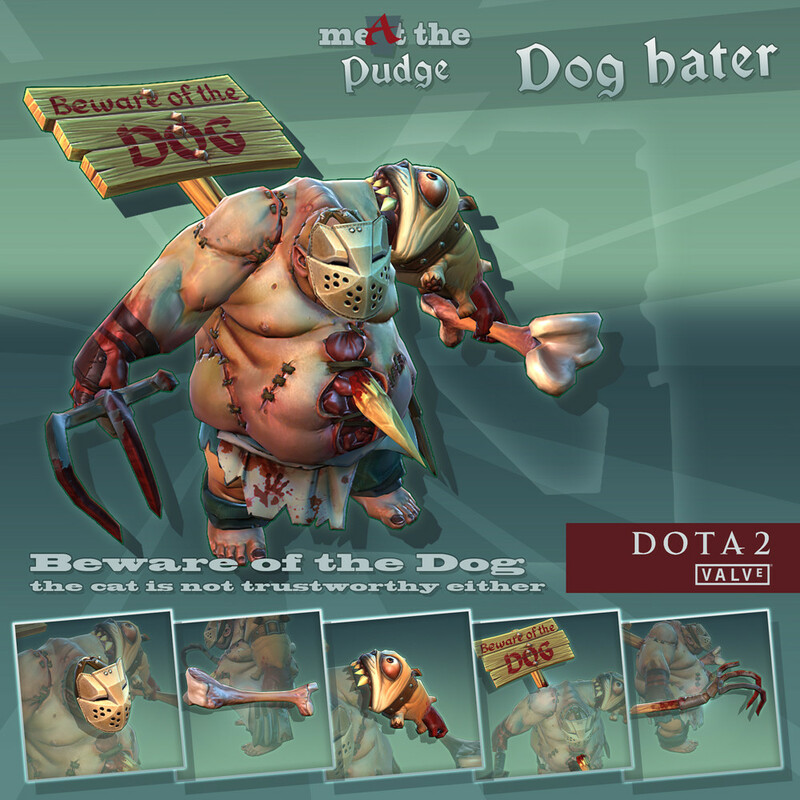 The set tries to portray an innocent Pudge who just wanted to play with a dog. Instead he got a sign rammed through his back and the dogs teeth stuck into his arm. He is a tough fellow though – he’s using his predicament and his new hatred for dogs against his enemies. 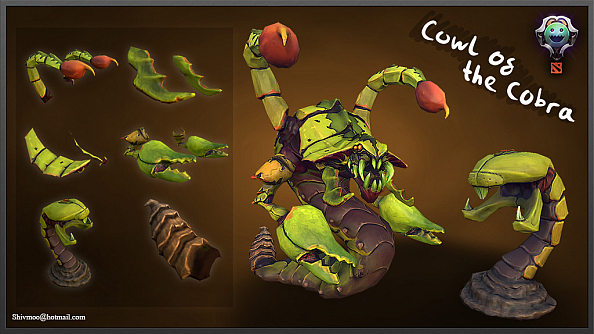 Shiv manages to make the menacing Venomancer even menacing. It moulds Cobra like features onto Venomancers slimey self, adding two mean looking stingers for flavour. Didn’t his sting hurt enough already? 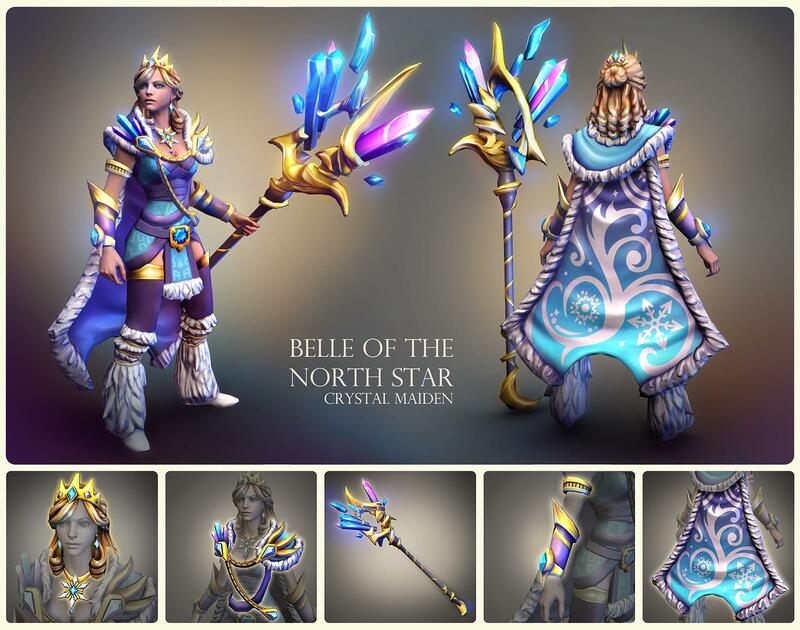 This set might just win this competition just by making Crystal Maiden look totally badass – in turn boosting the number of support players. Just joking. If I looked that good, I would probably go carry and show off to my foes how stunning I look. Another fine job by Yulia. 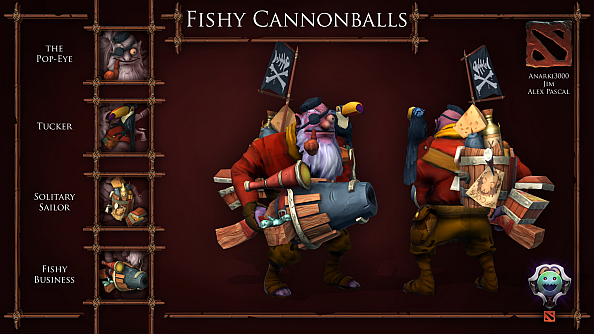 It forgos stealth in favour of dazzling the enemy while you pepper them with arrows. It’s like she got started building a batsuit but was distracted by the pretty lights. In any case: +1 from me. Meshiah wants to answer one question and one question only. Yes: Lycanthrope is a werewolf. 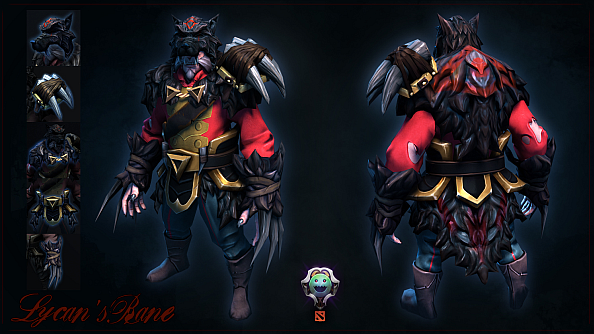 The extra skin gives more Wolf to Lycanthrope than is probably good for him, but I can’t help wonder why he would want to wear one of his kind. Jimanjr shows his take on Sniper if he should ever decide to take to the high seas. I think a pirate’s life suits him surprisingly well. The Toucan is called Tucker, btw. JaqueChoi thought that Doombringer didn’t bring enough doom to the table. 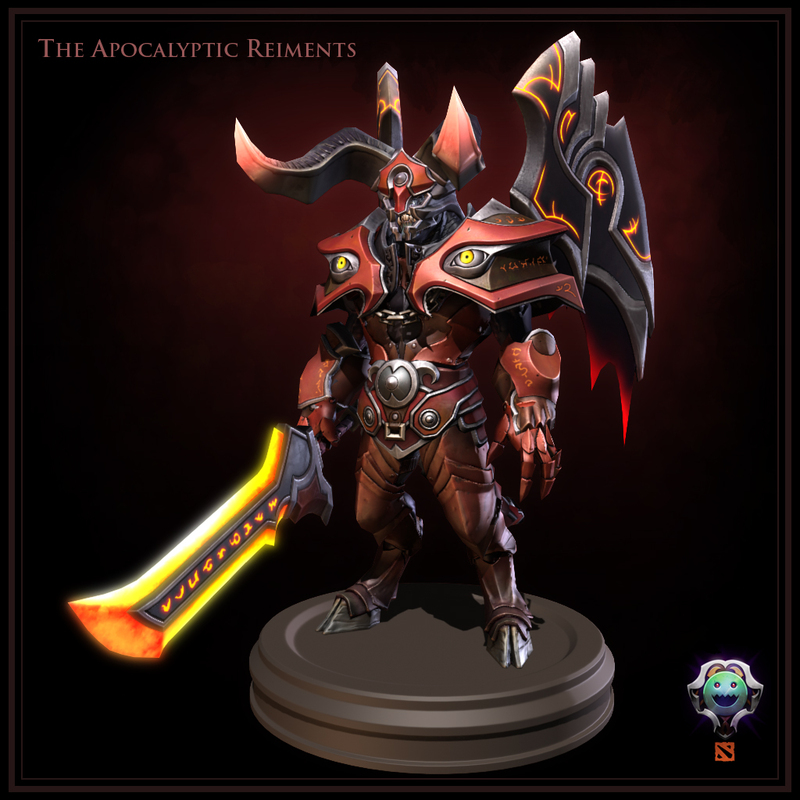 These new threads beefs up Doombringer with some ghastly runic armour. 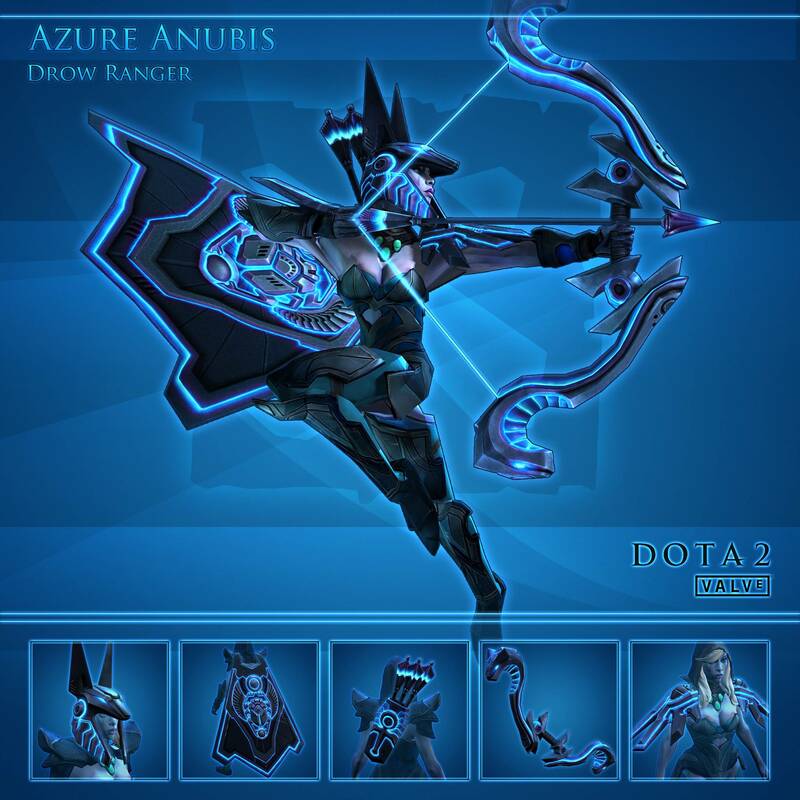 This will be a day one purchase for me if it reaches the in-game store. How did Queen of Pain get her name? Well: check out the wristbands and neck chain on this set. One thing that’s clear: her enemies are definitely the ones who get dominated whenever she is around. Pina believes that even a drunk panda should look smart on the battlefield. I do question the use of what appears to be cowbells. 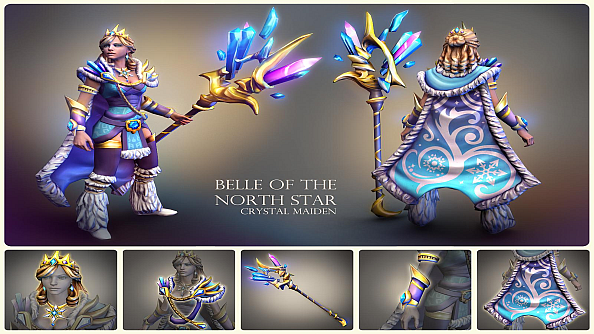 These are just a selection of some brilliant entries into the Dota 2 Polycount competition. If you want to check them all out head over to this forum, where entrants have posted their finished creations.